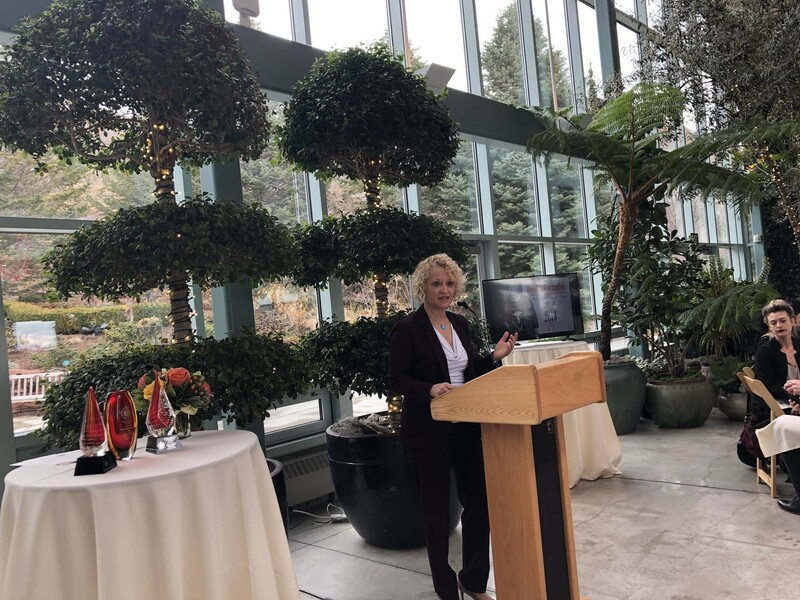 Salt Lake City Mayor Jackie Biskupski told a small lunchtime crowd gathered at Red Butte Garden Thursday afternoon that she had thought carefully about what she would say to honor the first woman mayor of Utah’s capital city, Deedee Corradini. A few days earlier, Biskupski had announced she would not be running for re-election and would instead prioritize supporting her family and working full-steam ahead on the remainder of her term. In preparing her remarks, Biskupski had remembered advice she’d given other women who’d asked her for guidance in the past. The mayor delivered the address before presenting local women with the Deedee Corradini Women’s Leadership Awards. Biskupski created the annual ceremony in 2018 to honor Corradini, who served from 1992 to 2000 and played a key role in bringing the 2002 Winter Olympics to Salt Lake City and advocating for TRAX expansion to connect neighborhoods to the downtown area. She died in 2015 at age 70.